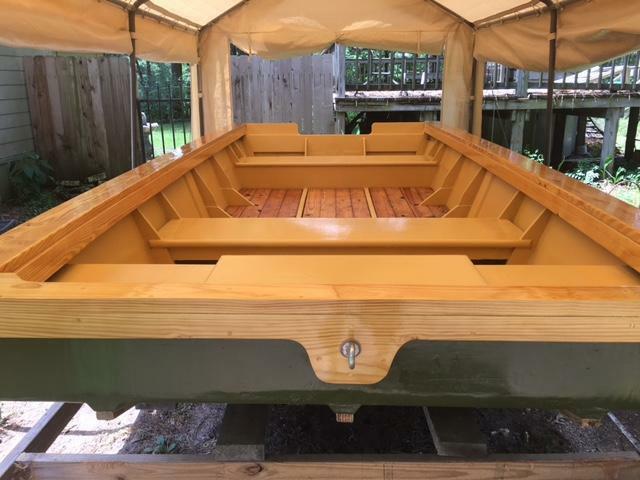 My just completed boat for cat fishing. Cool looking boat. It will be interesting to see how it handles. 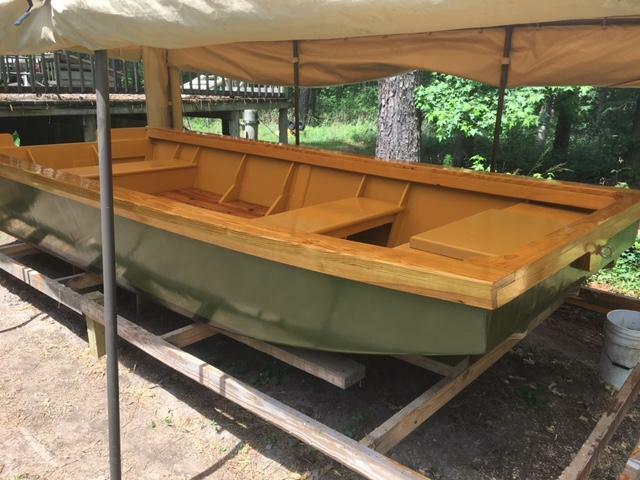 Is the green part fiberglass over wood? Okay, now this is 'bout my speed! That'll catch'em! 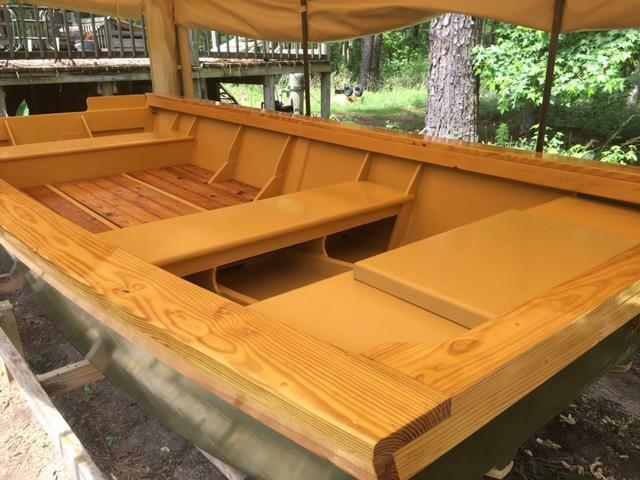 I'm hoping to get back on my jon boat build now! Very impressive wood works! I grew up doing carpentry and that looks difficult. I bet it weighs very much...since completion have you weighed it? Wow! If I built something that nice I would just sit around and look at it all day. Thanks all for the compliments! 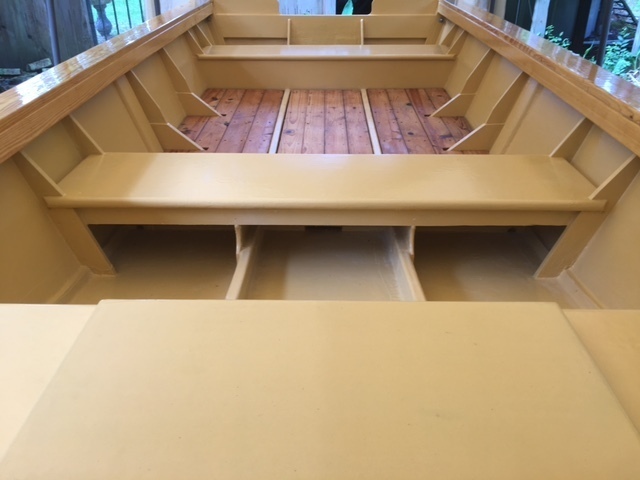 I do use the boat quite often and it is a little slimed at the moment. It has worked out very well for me and I am happy how it has turned out. I am also currently writing a book on how I built it. It will be published soon. I would not change anything as far as the design as it has been good so far. Last edited by Flyingvranch; 08/20/18 01:02 AM.